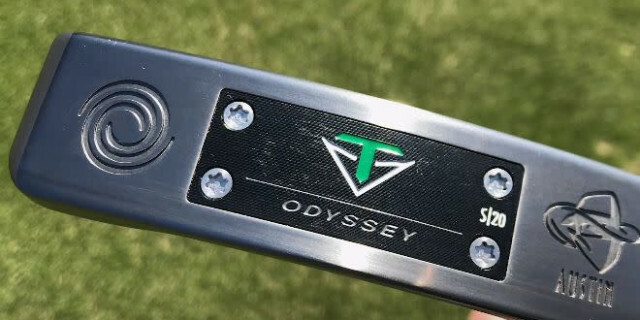 PGA Professional and Golfshake Equipment Expert Ryan Rastall has been testing the Odyssey Toulon Austin, and he talks through the technology behind the putter and what performance you could expert from it. TaylorMade has revealed its new P•7TW irons that have been designed with Tiger Woods. These premium, players models have brought together the minimalism of precision forged muscle back blades, with the technology of TaylorMade's own Milled Grind sole and tungsten weighting to deliver a unique feel and flight control. 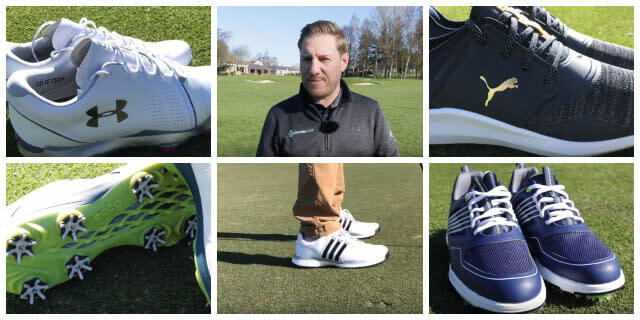 Golfshake's Kevin Paver has picked out his top five golf shoes for 2019, providing a detailed analysis for each, delving into the often complex technology behind them, the comfort, stability, style and performance of these models, potentially helping you decide which is best for you. Golfshake's Ryan Rastall had the opportunity to test the new Scotty Cameron Phantom X, and he talks through the look and feel of the putter, the technology behind it, and why this range could be an option for you this year. 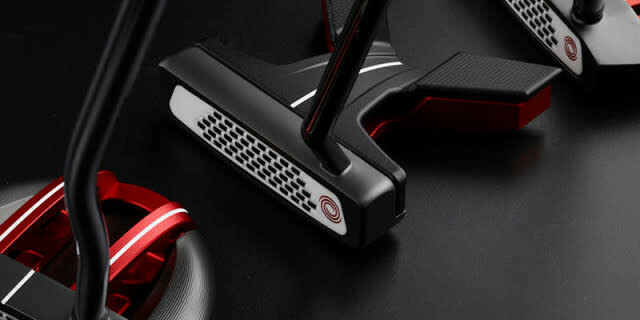 We take a closer look at the best available, delving into the technology to provide an insight behind the models that you might consider using, as we unveil our guide to the Best Putters of 2019. Packed with detailed information and reviews, here is Golfshake's comprehensive guide to the Best Game Improvement Irons of 2019, featuring many of the biggest and most acclaimed releases for this season. Callaway has revealed its new Chrome Soft X Golf Ball, which features Triple Track Technology, a ball that was introduced publicly earlier this year by Phil Mickelson, who used it when he won the 2019 A&T Pebble Beach Pro-Am. GOLFBUDDY has launched its newest generation of laser rangefinders for this season, the Laser 1, Laser 1S and the alim L10V Laser Rangefinders, which have been designed with technology to deliver the attributes of accuracy, innovation and measurability. PUMA Golf has revealed its Union Camo Collection for 2019, which has tapped into the camouflage trend that has become increasingly popular in the world of sportswear, but taking inspiration from the season's first men's major, The Masters at Augusta National. Cobra Golf has revealed the new KING MIM Wedges, which have made history in the game by possessing a fully Metal-Injection-Molded (MIM) 304 stainless steel head construction. This design process signals a noted manufacturing enhancement, providing a precise shape and exceptional feel for golfers looking for performance. Golfshake Ambassador Rob Treanor has tested and reviewed Duca Del Cosma's Eton White golf shoe, which has been made from fine Nappa leather, providing a quality and stylish product. Bridgestone's new E12 golf balls feature low-compression cores, designed to encourage lower-spinning shots that produce greater distances and straighter flights for the average golfer. Golfshake's Ryan Rastall met Elliot Mellow from Bridgestone to learn more about them. GolfBuddy's latest handheld GPS device - the VTX - is a slim, lightweight design that is packed with features, chief among them being voice audio and bluetooth connectivity. Golfshake Ambassador Mel Davies has been testing it for us and shares his review. Golfshake's Kevin Paver has been testing the Motocaddy M3 PRO electric trolley for several rounds and shares his review from Stowmarket Golf Club, talking us through the technology, demonstrating how it works, and explaining what he thinks of the product. Golfshake Ambassador Golfshake Ambassador Matt Holbrook headed to American Golf Norwich to meet COBRA PUMA Golf Fitter Louis Freeman to experience a custom fitting and receive a selection of clubs that have been individually tailored for him. You can see how he got on - and learn more about the process - in this VLOG. There have been many new wedges released onto the market in recent months, providing a wide variety for golfers looking for that added feel and touch for more consistent results around the greens. We take a closer look at the best available, including technology insights and reviews in our guide to the Best Wedges of 2019. Here is our gear guide to the latest irons of 2019, specifically targeting golfers with mid-range handicaps who want a set of irons that can provide maximum performance with consistent forgiveness. Titleist's Loyalty Rewarded promotion has become a regular fixture each year, and it has returned for 2019, providing golfers across the UK & Ireland with the chance to secure more of the brand's acclaimed golf balls for less ahead of the new season. Celebrated apparal brand TravisMathew has made an exciting leap across the Atlantic following its launch in Europe. To learn more about what we can expect, Golfshake's Kevin Paver toured the brand's HQ in California to gain some insight. Mizuno's striking, state-of-the-art Tour Performance Studio at Bearwood Lakes Golf Club has opened a 'Tour Fit Experience' available to the general public, offering regular golfers the enviable opportunity to sample of a Tour-level fitting, something that is normally solely an option for Mizuno staff players. The Wilson D7 driver features innovative lightweight technology to encourage faster ball-speeds and greater distances. Golfshake's Ryan Rastall has been testing the club and he has reviewed it for us, assessing the numbers and whether it should be on your list. Sure-Set is the creation of UK PGA professional Dan Frost, whose innovative training aid was designed to assist with learning the most important moves of the golf swing, has seen his acclaimed product reach across the Atlantic, going on sale before Christmas 2018 and being featured with Revolution Golf and The Golf Channel. Hugely popular brand PowaKaddy has revealed its most complete cart bag range yet for 2019, which features innovative technology and striking materials to cater for every golfer's requirements and sense of style. Ths year has seen many new hybrids introduced onto the market for the season, meaning that for golfers there are numerous possibilities to choose from. We have taken a look at the releases, bringing them together into one place, sharing the key information and to deliver the Best Hybrids of 2019. PING has revealed its new performance driven 2019 Spring/Summer apparel range for both men and women, which has been inspired by the company's heritage within Arizona in the USA, and introduces fresh technologies to provide greater comfort and feel to golfers. BIG MAX has revealed its new TI ONE to be launched this spring, re-inventing the principles of the hugely popular and influential Ti 1000, introducing fresh technology to a product that was initially born at the turn of the century. It has been a busy year for new fairway woods following the introduction of many fresh models for the season. 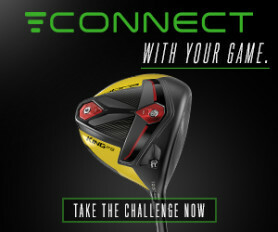 We have taken a look at the releases, bringing them together into one place, sharing the key information to deliver the Best Fairway Woods of 2019. Under Armour has launched its new HOVR Drive golf shoe, which has been designed to provide optimum comfort without sacrificing the energy return that helps to deliver power. PowaKaddy has revealed its exciting new Compact C2i GPS trolley, which builds on the legacy of the award-winning original model and headlines the range for 2019. FootJoy has revealed its Spring/Summer range for 2019, including four new apparel collections, Nautic, Verso, Ocean, Prosper, which offer quality, stylish and high performing comforting garments for both male and female golfers. Japanese manufacturer Miura Golf has been handcrafting clubs to exquisite levels for decades to great acclaim. Golfshake's Ryan Rastall had the chance to learn more about the new Miura 2nd Generation K Grind Wedges, which should provide a small insight behind this unique manufacturer. Motocaddy has introduced several new additions to its acclaimed electric and push trolley ranges for 2019, including upgrades and enhancements to many of the brand's most popular models. Cobra's new KING Forged TEC irons have been engineered to deliver a softer feel and enhanced power, but do they succeed? Golfshake's Ryan Rastall talks you through the technology and shares his thoughts on the clubs following a period of testing. PUMA Golf has revealed the new IGNITE PROADAPT golf shoe, which features fresh technologies to deliver greater traction and stability, and will be showcased by Rickie Fowler, who wore them during his recent win at the Waste Management Phoenix Open. Here is our gear guide to the latest players irons of 2019, including detailed reviews and look at the technology of the best models, specifically targeting golfers with low handicaps who consider themselves better than average players. BIG MAX has added two new designs to its popular and acclaimed AQUA golf bag range for this year, including fresh technologies and styles. ECCO GOLF has revealed new models to their popular ECCO BIOM HYBRID 3 family of golf shoes for men and women, with the acclaimed GORE-TEX waterproof design now available in a range of striking Spring/Summer 2019 colour combinations that boast the refined derby cut lacing. Golfshake's resident equipment expert Ryan Rastall has been busy testing the new Cobra F9 Speeback Irons, taking a closer look at the technology and how they perform. You can see Ryan's full review and what he made of the club.